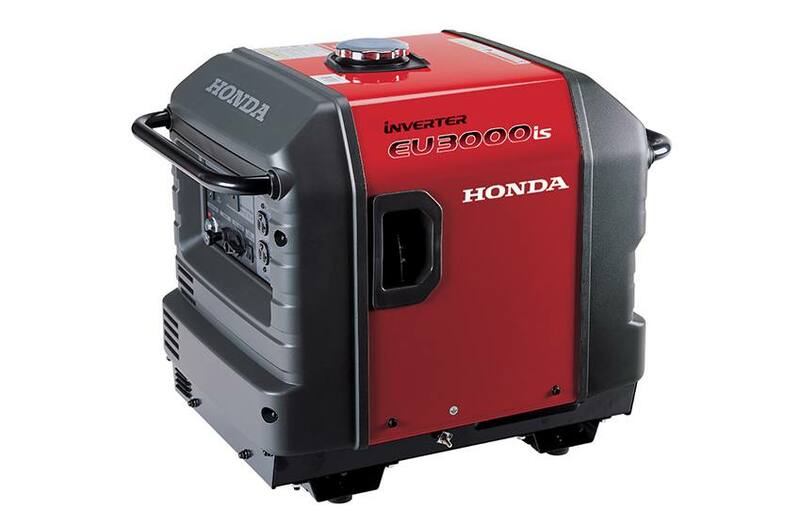 Excellent source of power for RVs, including 13,500 BTU AC units, and basic home backup power: This popular model can operate a wide variety of appliances, including a furnace, fridge, microwave, most 13,500 BTU RV AC units, and much more. Fuel efficient - Runs up to 20 hours on 3.4 gals of fuel: Thanks to our exclusive Eco-Throttle System, the EU3000iS offers great fuel efficiency. Runs from 7.2 to 20 hours on a single tank, depending on the load. This makes it great for overnight power. Double your power with parallel capability: Need more power? Add a second EU3000iS for additional power. Two identical models can be paralleled with an optional cable for up to 6000 watts of power. Dimensions (L x W x H): 25.8 in. x 18.9 in. x 22.4 in.